Los Angeles aiming for 20 percent rooftop solar by 2020 | West Coast Solar, Inc. The city of Los Angeles is hoping to derive 20 percent of its electricity from rooftop solar energy by 2020. L.A. Mayor Eric Garcetti announced that his administration and the Los Angeles Department of Water and Power (LADWP) would push for the installation of 1,200 megawatts (MW) of solar generating capacity, enough to cover about a fifth of the city’s 6,000 MW of peak demand in the summer time. KCET.org reports that the initiative is being celebrated by not only environmental groups, but business interests as well. Currently, Los Angeles derives about 2 percent of its electrical production from solar power, but has considerable untapped resources when you consider how much sunshine the city receives throughout the year. The LADWP is currently searching for a new general manager after the current GM, Ron Nichols, recently stepped down from the position for personal reasons. 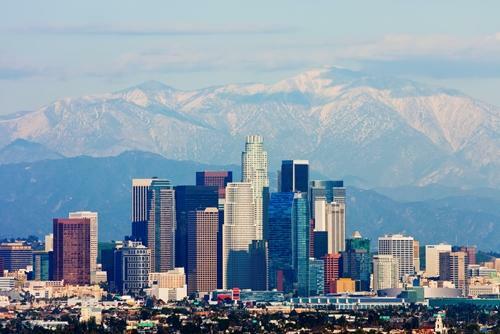 Los Angeles will be joining Bay Area communities in making a major push for clean, renewable solar power through the use of incentive programs such as net metering and the Federal Renewable Energy Tax Credit. If you’re a homeowner living in the East Bay and you’re interested in finding out more about this technology, contact West Coast Solar today!